To Make Opioid Screening Useful, Make Treatment Easy To Get : Shots - Health News Is it worthwhile for doctors to screen all the patients who come through the door about their use of opioids? Usually not, but direct connections to treatment can change the equation. 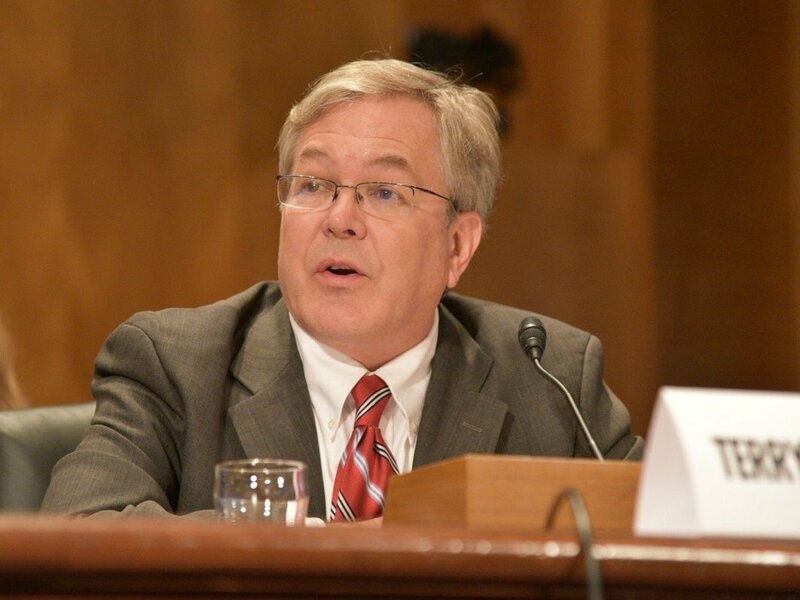 Dr. Terry Horton, chief of addiction medicine and medical director of Project Engage at Christiana Care Health System, testified about opioid addiction before a U.S. Senate committee in May. For years, doctors have asked people about tobacco use and excessive drinking in the hopes that the answers could help lead people to cut down or quit. But screening alone isn't usually sufficient to change behavior. As opioid use hits record highs in the U.S., Christiana Care Health System in Delaware is starting to ask people about opioid use — and then go further. "Have you used heroin or prescription pain medications other than what was prescribed in the past week?" "Do you get sick if you if you cannot use heroin, methadone or prescription pain medications?" The hospital's chief of addiction medicine, Dr. Terry Horton, worked to make questions about opioid use standard protocol because emergency room doctors at Christiana Care see about 300 patients a month go through withdrawals. It's called Project Engage. "We can actually leverage that withdrawal by identifying it quickly, treating it rapidly and using it to break the vicious cycle they're in," he says. Horton and his team try to break that cycle by immediately giving drugs like Suboxone to ease withdrawal symptoms. Health care workers also pair patients with addiction counselors and get them enrolled in community-based drug treatment program before they've even left the hospital. And so far, Christiana Care has been able to steer two-thirds of patients with opioid addiction into drug treatment, says Horton. "And of those, a significant portion, more than 60 percent, are actually in treatment a month later in the community," he says. There have been other benefits. He says Christiana Care is seeing a reduction in readmission rates and the number of patients leaving the hospital against medical advice. But screening alone isn't necessarily a recipe for treatment. Efforts to screen for tobacco use, for example, found that only about a fifth of tobacco users got any actual assistance with quitting. Dr. Richard Saitz, chair and professor of community health sciences at Boston University School of Public Health, says screening generally identifies people who use drugs — legal and illegal — and drink excessively. "There have been thousands, even hundreds of thousands of people now identified in these programs," he says. "How many of them go and seek treatment as the result of brief intervention after ... identification by screening is very close to zero. It just doesn't happen." The Centers for Disease Control and Prevention and the U.S. Preventative Services Task Force have seen it the same way. Currently, no U.S. government agency recommends screenings for illicit drugs like heroin based on "insufficient evidence" that it will help people reduce drug use. The USPSTF is currently reviewing screening effectiveness for opioids, both prescription and illegal. Even though, Saitz says, screening still may be useful for doctors to have a full picture of their patients. And Saitz notes Christiana Care's program goes beyond screening people. The health system is treating opioid addiction as a disease, with medicine and in-house specialists. He says that's not common in screening programs, nor the American health system in general. "What we do with alcohol and other drug-use disorder is notice it and maybe, at best, we'll tell the patient that they ought to find some help somewhere. And often that's it," he says. Saitz and Horton agree, the best way to curb opioid addiction is to connect patients directly with treatment, instead of leaving it up to patients to follow up on referrals, which is typically how it's done. They say identifying someone with an opioid addiction and giving them a piece of paper with a phone number to call is prescription for failure. This story is part of a reporting partnership with NPR and Kaiser Health News. James Morrison is freelance journalist based in North Carolina, you can find him on Twitter at @jcmorrisn.